INDIANAPOLIS—Police in Indianapolis, Indiana have stepped up efforts to ward off a series of bird attacks in the vicinity of its state capitol buildings. In what appears to be a coordinated assault, crows, finches and seagulls have flocked together to harass members of the Indiana state legislature and its governor, Mike Pence. Though no injuries have yet been reported, politicians have taken steps to remain under cover. In a telephone conference call with reporters originating from the panic room in the official mansion, Pence, noticeably shaken, stated, "We are doing everything in our power restore order and freedom in our city." The attacks began shortly after Pence signed into law the controversial Religious Freedom Restoration Act. Since then, reports have been filed of birds swooping down, pecking, pooping on and otherwise terrorizing elected state officials. 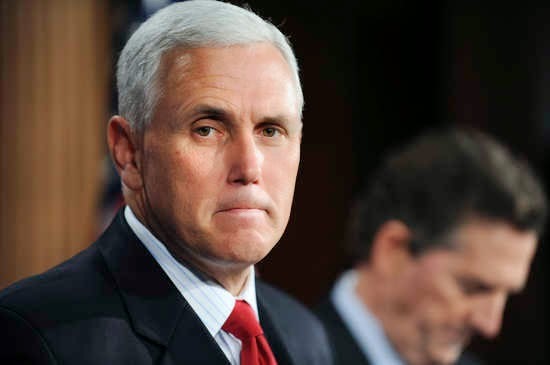 When asked if there was any connection between the two events, Pence replied, "I.... I'm the cause of all this. I'm evil. Eeeeeeevil!" Bird attacks have also been reported in Arkansas.